As we dance through different perspectives on how we are all connected as kindred spirits and how we create a more compassionate world, I thought this video on fractals might be interesting for readers to see a holographic perspective of our interconnectedness and the magic of who we really are at so many levels. Fractals, a base form that is within all of nature appears to document the oneness, the self is similar to all other theory. The similarity, yet the uniqueness of each of us. From tree’s branching, to flower formations, to the rams horn, sea shells, bee hives, vegetables, we are one. 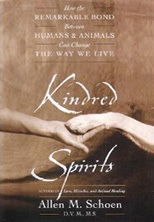 When I wrote “Kindred Spirits”, one of the references I used was called “Magic Tree’s of The Mind” by a neuroscientist. She used the appropriate analogy of how similar tree branches were to the neural connections in the brain. Recently, the world renowned mycologist, Paul Stamet’s demonstrated how the branching of mycelia from mushrooms was the same. We are also seeing similar patterns throughout the universe. What I find so amazing and impressive is the sacred geometry in it all. It is all based on mathematics. 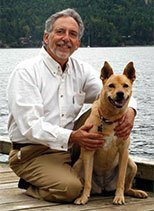 As a child studying mathematics, I thought it was a dry subject that one needed to learn. I never imagined that the universe was so intricately created based on mathematics and geometry. 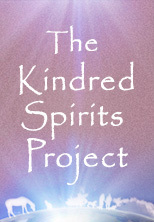 How does this relate to the kindred spirits project you may ask? What do you think? My feeling is that the more that we understand how integral similarities from the microscopic to the macroscopic, perhaps this appreciation will broaden our respect and compassion for our interconnectedness, our oneness. It seems that the more we learn about the underpinnings of the universe, the more we appreciate the miracle and magic of this awesome creation. Enjoy!